Why Register with CMSE Recruitment? Looking for New Employment Opportunities? Check out these benefits..
Not sure about what the next step in your career should be? Boston Scientific has over 4,500 employees in Ireland but fears that the company may be planning to reduce its footprint here are misplaced, according to its CEO who trumpets the ‘stellar’ performance of its Irish operations. A suave, tanned character, whose career began in the US air force, Kucheman has been with Boston Scientific since 1995. Before taking over as chief executive officer late last year, he was head of the cardiology, rhythm and vascular group, which makes him intimately familiar with the work happening at the company’s three Irish locations in Galway, Cork and Clonmel. And he is, undoubtedly, a fan. “What I have always been impressed by through the years is the attitude of the Irish people – their dedication, their passion, their attention to detail and their desire to ‘get-it- right-first-time’ type of mentality,” he says in the Natick board room, on a recent Thursday afternoon. “Over the years, we’ve brought some of our toughest challenges to Ireland in terms of product initiatives or product introductions, and the people there have been just absolutely stellar. They have knocked it out of the park almost every time,” he adds. Boston Scientific is one of Ireland’s most significant employers, with more than 4,500 employees. Roughly 2,650 are based in Ballybrit in Galway, where the company has both a manufacturing operation and a high- tech RD centre. It is the company’s biggest manufacturing site globally. The company employs another 20,000 people in locations across the Americas, Europe, Asia, the Middle East and Africa. It generated $7.6 billion in net sales last year from a product line of medical devices that includes pacemakers, stents, pain management systems and other technologies used in cardiology, urology, gastroenterology and various other medical disciplines. Boston is truly a world player with leading market positions in many of the products it makes. But, like others, the company has suffered a decline in revenue in recent years. Last year’s net sales were down from $7.8 billion in 2010. A recent Wall Street Journal analysis found that Boston Scientific has shed a total of 3,000 jobs since 2007 but, for the most part, the company’s Irish operations have been spared the worst of the layoffs. Two plants in Donegal were closed in 2009 with the loss of 120 jobs while, in 2010, 175 workers lost their jobs in Galway – a devastating blow for those affected. However, Kucheman has high praise for Ireland’s RD tax credits, which he says are part of a “smart” government strategy to bring innovation into the State. • Get all your basic information together: personal details, education etc. • Contact the people you want to use as referees, to get their permission and to confirm their contact details. • Think about why you want the job. • Think about what you have to offer and what makes you stand out. • Check closing dates; if possible, apply before the deadline. Some employers start processing applications before the closing date – and they are usually deluged by last-minute applications – so if you submit yours early you may get more attention. • Read the job description and personal specification to find out what skills and experience they are looking for. • Research the organisation for more clues about the kind of applicant who would be successful. • Give yourself enough time: writing a good job application is likely to take longer than you expect. • Draft your answers first, before you start filling in the form. • Read the application form right through before you write anything. Follow all instructions and answer the questions asked (yes, it is a bit like an exam!). 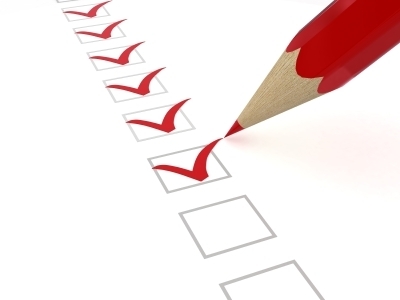 • If there is a question that does not apply to you, write ‘not applicable’ or ‘N/A’ in the appropriate box. This shows that you have considered the question and is better than leaving blanks. • Make your answers relevant, interesting and personal. Your aim is to write your own interview invitation, so you want to stand out. • Spell check and proof read your application. If possible, ask a friend or careers adviser to check it too. • Check that you have included everything you’ve been asked for. • Keep a copy of your application, so you can go over it before the interview. major shifts in global trade patterns. The EGF have up to €500 million available each year. global financial and economic crisis. The EGF provides co-financed assistance to individual Member States to provide programmes and services to workers made redundant as a result of the adverse impacts of globalisation. The types of services and programmes eligible for EGF support include career advice and guidance, education and training courses, and enterprise supports. – been identified in one to the three approved EGF Construction Applications. All redundant workers eligible for support under the three EGF Construction Programmes will have been notified of their eligibility by letter. They will also have been provided with an EGF Eligibility Number. On the 19th December 2011, a notification letter was issued to a total of 8,779 construction workers and apprentices eligible for support from the EGF. If you have not received a letter from the EGF Managing Authority in the Department of Education and Skills and still wish to check your eligibility you can contact the EGF Construction Contact Centre. 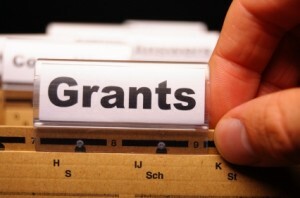 EGF Training Grants pay fees for approved courses in private education and training companies. EGF Grants range in value and can be as high as €5,000. Before you can apply for an EGF Training Grant you will need to identify an approved training course that can be completed before Friday 8th June 2012. 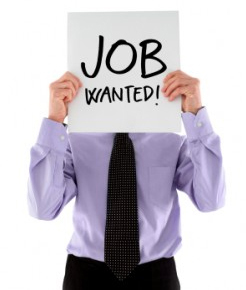 Jobseekers and unemployed people all over Ireland are trying to find work in a very competitive market. Re-skilling, using short duration training courses of one day to two weeks, is one obvious way to increase your chances in the job market. The good news is that jobseekers who are trying to get back to work can now get free or subsidised courses from training companies nationwide. This is a very positive move by the government to assist jobseekers in their efforts to enhance their CVs and thereby enhance their job prospects. All jobseekers should be looking at the courses available and seeing if courses exist that will equip them for career paths that they may be interested in. Typical short duration training courses that are available are – Certified Energy Manager Course – Building Energy Rating (BER) Course – First Aider Courses – Taxi Driver Course – Trainee Firefighter – Accredited Safety Certificate Courses – Registered Gas Installer Courses – Carbon Emissions Measurement Courses – and many more.